Cleanup required: correct placement of NPCs, quotes around zone names, links to applicable page. This page serves as an index for every NPC in the game. To reduce the size of this page, individual NPC information regarding town-specific NPCs should not reside here. NPCs listed here are grouped by town or major area (such as an island). To quickly find an NPC use Ctrl+F in your browser. Also known as "Agent Cassandra" as part of the "Find Master M" event. Teleports you to Pachinko Parlor (JapanMS only). Found in El Nath and Henesys, and Kerning City. Accompanied by Donation Box. Gives title quests. Teleports you to the entry point of a Party Quest or area. Returning through the door takes you back to the city you were in. Found in El Nath, Henesys, and Kerning City. Accompanies Dalair. Accepts donations when on the town-specific title quest, Donation King. Delivers items sent by GMs. Shows the ranking for Mu Lung Dojo. To differentiate the location of the NPC, her name appears as Nana(E) (pink hair) in Ellinia, Nana(H) (gold hair) in Henesys, Nana(K) (orange hair) in Kerning City, and Nana(P) in Perion (she looks pink in Perion). Also known as Hera. 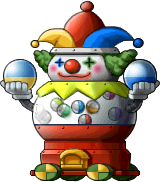 Gives information on Monster Carnival. Trade Shiny Maple Coins for equipment. Teleports you to Mushroom Shrine. Speak with her at Mushroom Shrine once more to teleport back to the city you came from. Only available in JMS, GMS, MSEA and EMS. The new Gachapon NPC since Champions patch, this NPC replaced the old Gachapon NPC. Use this NPC if you have a Gachapon ticket to get a random reward (high level equip, mount, scroll, or other item). Gives information about the nebulite system. Transports you to Monster Park. Used to send you to PVP, now tells you to use Dimensional Mirror to access. Rewards players with items doing the Part-Time Job. NPCs here are temporarily added during seasonal holidays. Found in Henesys (by Bruce and Maya's house, standing on the carrot patch), Ludibrium (next to the Hair Salon and ClockTower), and Orbis (next to Maple Administrator). This is MapleStory's Easter Bunny. Found in Ellinia. Christmas NPC. Teleports you to Happyville. For more details on NPCs related to Find Master M, see the Find Master M special event. Exchange quest: will trade items for Dark Tokens. All major towns. Only available during the Legends patch and Sengoku patch. Sold items, scrolls and a few other nick nacks! Was not available in GMS. Sold potions and other consumables. GMS version sold items, scrolls and a few other nick nacks. The GMS version did not include potions and consumables. All major towns. Only available during Justice/Renegades patch. Sold items, scrolls and a few other nick nacks. All major towns. Only available during Tempest Patch and Unleashed Patch. Sold items, scrolls and a few other nick nacks.. Maple Road: Entrance - Mushroom Town Training Camp Quest: Heena and Sera. Her sister is Sera. Maple Road: A Split Road Second part of quest: Sam's Request (gives Maria's Letter and 60 Experience). Maple Road: East Entrance to Mushroom Town Completes the quest: Todd's Hunting Method. Maple Road: Snail Hunting Ground I Quest: Robin the Walking Encyclopedia. Maple Road: Snail Hunting Ground I Quest: Sam's Request. Maple Road: Entrance - Mushroom Town Training Camp Second step in the quest Heena and Sera. Her sister is Heena. Maple Road: East Entrance to Mushroom Town Quest: Todd's Hunting Method. Rainbow Street: The Field West of Amherst Quest: Helping Out Yoona. Lith Harbor, Henesys, Kerning City, Perion, Ellinia, and inside the Nautilus. 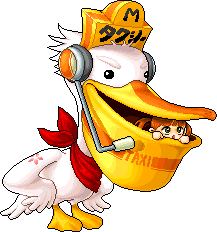 Transports you to other Victoria Island towns for 1,000 mesos. Ellinia : Ellinia Repairs durability on equipment. Also involved in several quests. Ellinia : Ellinia Quest NPC. Ellinia : Ellinia Teleports you to the Jump Quest area during and after completing Sabitrama's quests. Ellinia : Ellinia Stores items. Ellinia : Ellinia Also known as Dr. Betty. Starts quests. Ellinia : Ellinia Betty's daughter. Quest NPC. Ellinia : Ellinia Cygnus Knight agent. Ellinia : Ellinia Helps revive pets. Found in "Ellinia : Ellinia". Sells 100% scrolls. See here for the prices and types. Ellinia : Magic Library Turns Beginners into Magicians and gives quests. Ellinia : Ellinia Weapon Store Stands next to Serabi the Fairy. Sells magician weapons. Ellinia : Ellinia Weapon Store Stands next to Flora the Fairy. Sells magician armor. Ellinia : Ellinia General Store Grocer; sells potions, etc. Way to the Forest : Shining Forest Path Quest NPC. Chimney Tree : Chimney Tree Top Quest NPC. North Forest : Giant Tree Quest NPC. North Forest : One-Eyed Lizard Quest NPC. Cursed Forest : Lupin Forest Quest NPC. Henesys: Henesys. Below Mushroom Park's entrance, to the right of Cassandra. Quest NPC. Henesys: Henesys "Henesys Agent"; an NPC related to Cygnus Knights and Mihile. Also involved in one of Bruce's quests. Henesys: Henesys, upper right side. Teleports you to Amoria for free. Henesys: Henesys 7-Eleven's advertisement representative. Quest NPC. In the Japanese version of MapleStory, he is portayed as an NPC for a limited time. He can also be found in the korean version of the game. The character is from the Japanese anime of the game. The quest is to save the World Tree. Henesys : Bowman Instructional School First job trainer for Bowmen. Henesys : Maya's House. Quest NPC. Henesys : Chief Stan's House Quest NPC. Henesys : Rina's House Quest NPC. Henesys : Henesys Market Repairs items with durability. Henesys : Henesys Market, below Vicious. Sells weapons for all jobs. Henesys : Henesys Market, next to the General Store. Sells various pocket items. Henesys : Henesys Market, next to the Weapon Store. Allows you to dispose of unwanted Cash Items. Henesys : Henesys Weapon Store. Sells weapons for archers. Henesys : Henesys Weapon Store. Sells common armor and armor for archers. Henesys : Henesys General Store Sells potions and other consumable items. Henesys : Henesys Plastic Surgery Eye Surgeon, uses VIP Face Coupons to exchange eyes. Henesys : Henesys Plastic Surgery Eye Surgeon, uses Face Coupons to exchange eyes. Henesys : Henesys Plastic Surgery Changes eye color. Henesys : Henesys Hair Salon Uses VIP Hair Coupon to exchange hairstyle. Henesys : Henesys Hair Salon Allows you to use Hair Coupons to change hairs. Henesys : Henesys Hair Salon Allows you to use Royal Hair Coupons for a random hairdo. Henesys : Henesys Hair Salon Allows you to use Coupons for your android. Henesys : Henesys Skin-Care Allows you to use VIP Skin Coupons to change skin color. Henesys : Henesys Park Deals with Pets. Henesys : Henesys Park Allows you to place your items in storage. Henesys : Henesys Game Park. The game master. Makes decks of cards and Omok sets if you bring him the right materials. Henesys : Pet-Walking Road. Helps players train their pets, and helps you obtain the Multi-Pet skill. Henesys : Henesys Known as Tia in MSEA. Henesys : The Hill North of Henesys Quest NPC. Singing Mushroom Forest : Spore Hill Quest NPC. Singing Mushroom Forest : Windflower Flower Quest NPC. Singing Mushroom Forest : Blue Mushroom Forest Quest NPC. Singing Mushroom Forest : Blue Mushmom Forest Quest NPC. Singing Mushroom Forest : Ghost Mushroom Forest Quest NPC. Singing Mushroom Forest : Zombie Mushmom Hill Quest NPC. Kerning City : Kerning City Quest NPC. Kerning City : Kerning City Repairs items with durability. Also gives varrious quests. Kerning City : Kerning City (outside the Subway entrance). Kerning City : Kerning City "Kerning City Agent"; Cygnus Knight related NPC. Added in GMS patch 0.73. Also involved in several other quests. Kerning City : Kerning City Sells 100% scrolls. See here for the prices and types. Kerning City : Kerning City Involved in Dual Blade quests and one regular thief quest. Kerning City : Kerning City Self-Defence Item Store Sells weapons for thieves. Kerning City : Kerning City Self-Defence Item Store Sells armor for thieves. Kerning City : Kerning City Pharmacy Sells potions. Kerning City : Hideout A master thief, Dark Lord is the first job trainer to advance from Beginner to Rogue. Quest giver. Kerning City : Naora Hospital Quest NPC. Kerning City : Kerning City Hair Salon Uses a VIP Hair Coupon to change your hair. Kerning City : Kerning City Hair Salon Uses a Hair Coupon to change your hair. Kerning City : Kerning City Repair Shop Repairs items with durability. Kerning City : Subway Ticketing Booth Lets you buy a ticket to any of the 3 jump quests. Also involved in several quests. Lith Harbor : Lith Harbor Takes you on the boat to Rien for 1,000 mesos. Lith Harbor : Lith Harbor Quest NPC. Lith Harbor : Lith Harbor Gives information on minor events created by Game Masters (GMs). Lith Harbor : Lith Harbor Storage NPC. Lith Harbor : Lith Harbor Aran quest NPC. Lith Harbor : Lith Harbor Event NPC. Lith Harbor : Lith Harbor Armor Store Sells common armor. Lith Harbor : Lith Harbor General Store Sells potions. Lith Harbor : Lith Harbor Weapon Store Sells weapons for beginners. Lith Harbor : Tru's Info Shop Quest NPC. Port Road : Six Path Crossway Quest NPC. Port Road : Six Path Crossway Warps you to Pantheon. Port Road : Six Path Crossway Warps you to Gold Beach. NOT the same as Instructor Irvin. Port Road : Victoria Tree Platform Lets you rent airplanes for a fee. NOT the same as Pilot Irvin. Port Road : Victoria Tree Platform Transports you to Singapore for 300,000 mesos. Port Road : Station to Orbis Transportation info. Port Road : Station to Orbis Allows you to head to Orbis. Port Road : To Orbis <Before Starting> Allows you to exit the boat to Orbis. Port Road : Station to Ereve Allows you to head to Ereve. Port Road : Station to Edelstein Allows you to head to Edelstein. Nautilus : Nautilus Harbor Quest NPC. Nautilus : Nautilus Harbor Quest NPC. He helps a beginner Cannoneer escape Coco Island. Nautilus : Nautilus Storage NPC. Nautilus : Nautilus Sells pirate weapons. Nautilus : Nautilus Sells pirate armor. Nautilus : Nautilus Sells potions and consumables. Nautilus : Nautilus Quest NPC. Nautilus : Navigation Room Job instructor. Nautilus : Cafeteria Quest NPC. Nautilus : Training Room Quest NPC. Nautilus : Conference Room Quest NPC. Nautilus : Bedroom Quest NPC. Nautilus : Generator Room Quest NPC. Beach : Coastal Forest Quest NPC. Beach : White Wave Harbor Quest NPC. Beach : White Wave Harbor Warps you to Florina Beach. Beach : Shallow Sea Quest NPC. Beach : Low Tide Sea Quest NPC. Beach : High Tide Sea Quest NPC. Florina Beach : Lorang's Sandy Beach Quest NPC. Florina Beach : Lorang Lorang Quest NPC. Perion : Perion Quest NPC. Perion : Perion Repairs durability. Perion : Perion Cygnus Knight agent. Involved in a few quests. Perion : Perion Weapon Store Sells warrior weapons. Perion : Perion Weapon Store Sells warrior armor. Perion : Perion General Store Quest NPC. Perion : Warriors' Sanctuary Job instructor. North Rocky Mountain : Dusty Wind Hill, Burnt Land : Wild Boar Land, Wild Pig Land, Armor Pig Land, and Burning Heat Involved in an Evan quest. Burnt Land : Wild Pig Land Quest NPC. Burnt Land : Armor Pig Land Quest NPC. Burnt Land : Burning Heat Gives a quest to obtain Flaming Katana. North Rocky Mountain : Rugged Rocky Zone Quest NPC. Excavation Site : Relic Excavation Camp Quest NPC. Excavation Site : Relic Excavation Camp Quest NPC and information about Guild Quest. Excavation Site : Relic Excavation Camp Guild Quest signup NPC. Sleepywood : Sleepywood Repairs items with durability. Also a quest NPC. Sleepywood : Sleepywood Quest NPC. Sleepywood : Sleepywood Involved with the jump quest for John of Lith Harbor. Also a quest NPC. Sleepywood : Sleepywood Storage NPC. 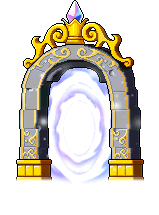 Sleepywood : Sleepywood, Cursed Temple : Another Door Warps you to Cursed Temple : Another Door for 15,000 mesos. Also warps you back for 15,000 mesos, which is pointless thanks to Nearest Town Scrolls. Sleepywood: Sleepywood Appears in JMS for a limited time, October 31st, until November 28th (GMT+9). She has a quest were you can save the World Tree. It's an NPC based on the anime of MapleStory. Sleepywood : Sleepywood Hotel Transports you to Dungeon: Regular Sauna (499 mesos) or Dungeon: VIP Sauna (999 mesos). Sleepywood : Regular Sauna Mr. Wetbottom's twin. Previously named Pat Schwetty. Sells potions and consumables. Sleepywood : VIP Sauna Mr. Sweatbottom's twin. Previously named Jack Schwetty. Quest NPC. Swamp : Silent Swamp Involved with Mr. Wetbottom's quest. Swamp : Humid Swamp, Drake Cave maps Involved with Chrishrama's quest. Cursed Temple : Another Door Quest NPC. Cursed Temple : Another Door Sells potions and consumables. Balrog Temple : Stairway to the Underground Temple Trades Balrog Leather for Balrog Scrolls. Balrog Temple : Stairway to the Underground Temple Allows you to enter Balrog's Tomb to fight it. Toy Factory <Process 1> Zone 1. Deals with quests. Orbis Tower <14th Floor> Deals with quests. Aqua Road Deals with quests. Aqua Road: Carta's Cave Deals with quests. Aqua Road Transports you in and out from Aqua Road and Herb Town. Ludibrium: Toy Factory Path of Time Deals with quests. Ludibrium: Toy Factory Forgotten Path of Time <1> Deals with quests. El Nath: Ice Valley II Potion Merchant. Ludibrium: Toy Factory Lost Time 1 Deals with quests. Ludibrium: Eos Tower 26th ~ 40th Floor Sells items. Ludibrium: Eos Tower 93rd Floor Deals with quests. Ludibrium: Toy Factory Process 2 Zone 4 Deals with quests. Ludibrium: Toy Factory Main Process 1 Deals with quests. Ludibrium: Eos Tower 98th Floor Deals with quests. Ludibrium : Eos Tower 93rd Floor Deals with quests. Ludibrium : Eos Tower 76th ~ 90th Floor Deals with quests. Ludibrium : Eos Tower 74th Floor Deals with quests. Ludibrium : Eos Tower 60th Floor Deals with quests. Ludibrium : Eos Tower 46th ~ 55th Floor Deals with quests. Ludibrium : Eos Tower 41st Floor Deals with quests. Ludibrium : Eos Tower 21st Floor Deals with quests. Ludibrium : Eos Tower 7th Floor Deals with quests. Ludibrium: Eos Tower 3rd Floor Deals with quests. El Nath : El Nath Quest NPC. El Nath : El Nath Event NPC. El Nath : El Nath Involved with forging several iTCG-related items. Currently unavailable. El Nath : El Nath Market Repairs items with durability. El Nath : El Nath Market Storage NPC. El Nath : El Nath Market Quest NPC. El Nath : El Nath Weapon Store Sells weapons. El Nath : El Nath Weapon Store Sells snowshoes and other armor. El Nath : El Nath General Store Sells potions. El Nath : Icy Cold Field Quest NPC. El Nath : Ice Valley I Quest NPC. El Nath : Ice Valley II Quest NPC. El Nath : Ice Valley II, Lion King's Castle : Desolate Moor Sells potions. El Nath : Ice Valley II Sends you to the dungeon. Hidden Street : Holy Ground at the Snowfield Involved in an Adventurer's 3rd job advancement. Hidden Street : Snow Soul's Resting Place Quest NPC. El Nath : Forest of Dead Trees IV, Lion King's Castle : Desolate Moor Quest NPC (Silent Crusade and LKC, respectively). El Nath : Dead Mine III Allows you to fight Mori Ranmaru. Hidden Street : Cave Within the Cave Quest NPC. El Nath : The Door to Zakum/Chaos Zakum Allows you to fight Zakum/Chaos Zakum. Robinson: Aqua Road : Two Palm Trees. Rocky the Repairman: Toy Factory Main Process 2. Rydole: Toy Factory Aparatus Room. Toly: Toy Factory Path of Time. Vega: Eos Tower 44th Floor. Alien Gray: Omega Sector: Kulan Field II. Black Mesoranger: Omega Sector: Kulan Field I.
Dr. Kim: Omega Sector: Command Center. Green Mesoranger: Omega Sector: Boswell Field IV. Gunny: Omega Sector: Boswell Field V.
Hoony: Omega Sector: Boswell Field III. Meteorite 1: Omega Sector : Kulan Field I.
Meteorite 2: Omega Sector : Kulan Field III. Meteorite 3: Omega Sector : Kulan Field IV. Meteorite 4: Omega Sector : Kulan Field II. Meteorite 6: Omega Sector : Kulan Field V.
Pink Mesoranger: Omega Sector : Boswell Field II. Porter: Omega Sector : Command Center. Yellow Mesoranger: "Omega Sector: Off-Limits". Mirror World - [Mirror World] Ludibrium Quest NPC for Zero Storyline. Goddess Teardrops: Chapter 7. Gachapon (at one time, a different model was used). NPCs noted here are no longer available in the game. For NPCs specific to a removed zone (i.e. Coke Town), refer to that section. Used to be found in Henesys and Ludibrium. Accompanied by Coco. Used to be found next to Kino Konoko in Mushroom Shrine. Did nothing. Used to be found in Henesys and Ludibrium. Accompanied Ace of Hearts. No longer available. Replaced by The Great Gachapierrot in the Champions patch. Previously: using a Gachapon ticket, players will receive one random Gachapon exclusive item. Used to be found to the right of the Japanese gate in Mushroom Shrine. Did nothing. Used to be found at the left side of Mushroom Shrine. Was replaced by World Tour guide Spinel. Was able to transport your character to Kerning City for 1,500 mesos. Also known as Cezare. 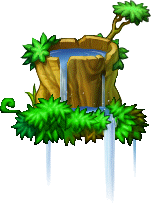 Used to be found in Ariant, Henesys, Nautilus, and Perion. Was able to teleport you to the Ariant Coliseum entrance. All of these representatives share a common text string: "Nexon Game Cards make great gifts for you and your friends. Happy Holidays!" Henesys, in front of the Target store. Target's advertisement representative. "This holiday season... Expect More!" Best Buy's advertisement representative. "Have a safe and happy holiday!" Duane Reade's advertisement representative. "Everything you need is right here!" This page was last edited on 28 February 2014, at 18:49. This page has been accessed 143,145 times.